Joel and Skip Munroe arrived yesterday morning at Lyn’s home and the three spent the day continuing to modify the chicken coop-turned swan house-turned fantastic sanctuary (Joel is one of Mr. Swan’s caregivers and a carpenter). 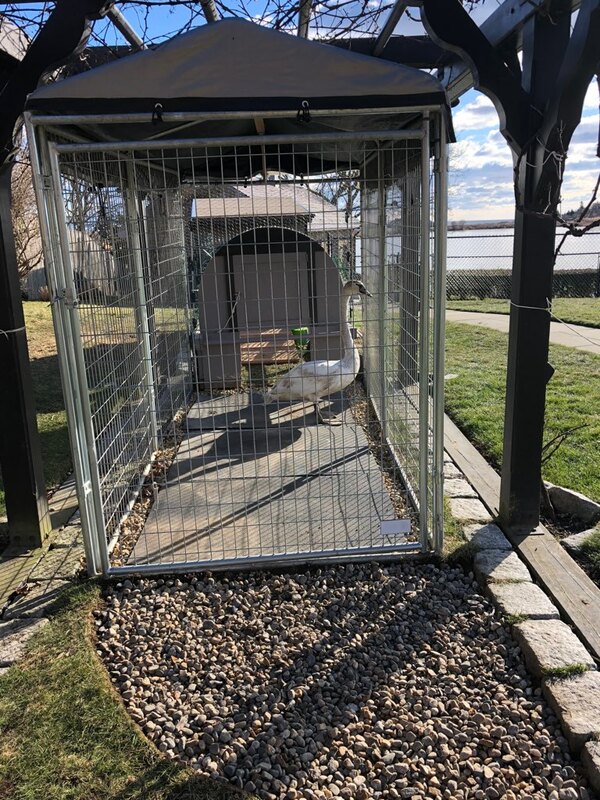 Lyn has generously added her dog’s run to extend the swan’s home, providing room enough for the Young Swan to stretch her wings and walk around within the enclosure. 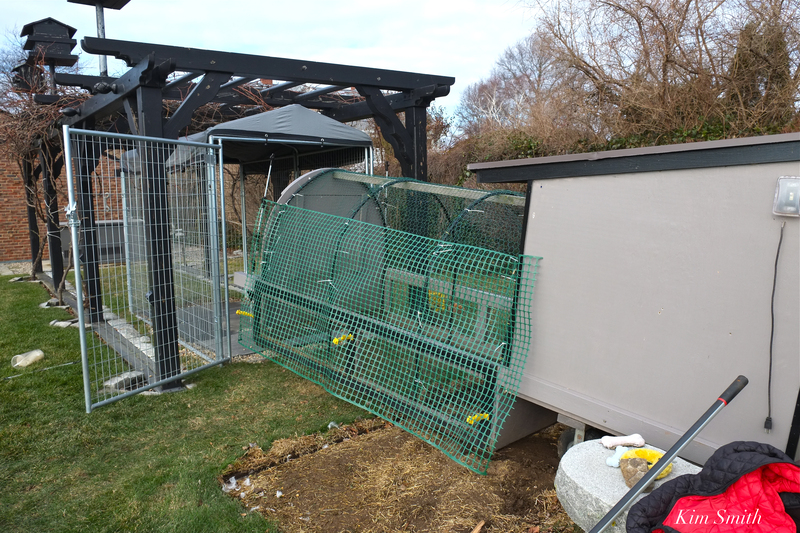 Increasing the size of the enclosure. 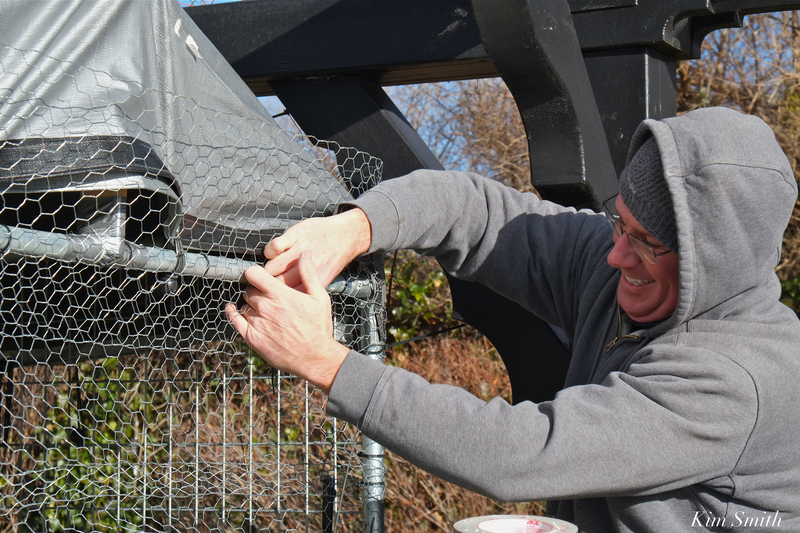 Today, the very awesome landscaper Patrick Low, owner of JPL Landscape Solutions spent the morning modifying and attaching the (former) dog run to the chicken coop and securing the entire structure from predators such as coyotes and racoons. 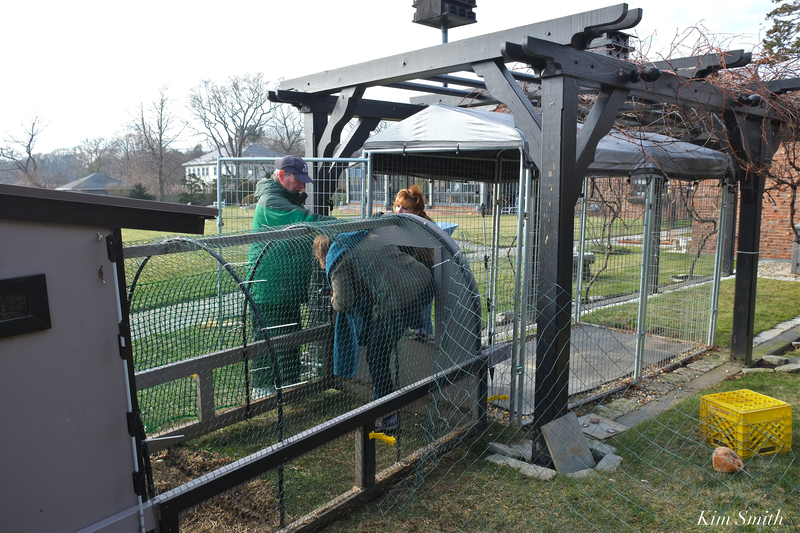 Pat, Joel, and Skip have very generously donated their time and services to creating the winter swan sanctuary. Pat Low, creatively solving potential predator issues. A friend of Lyn’s is donating three bales of hay. To supplement the pellets and corn Lyn has been feeding the swan, yesterday she purchased collard greens (which the Young Swan loved), spinach, and kale (yet to try). 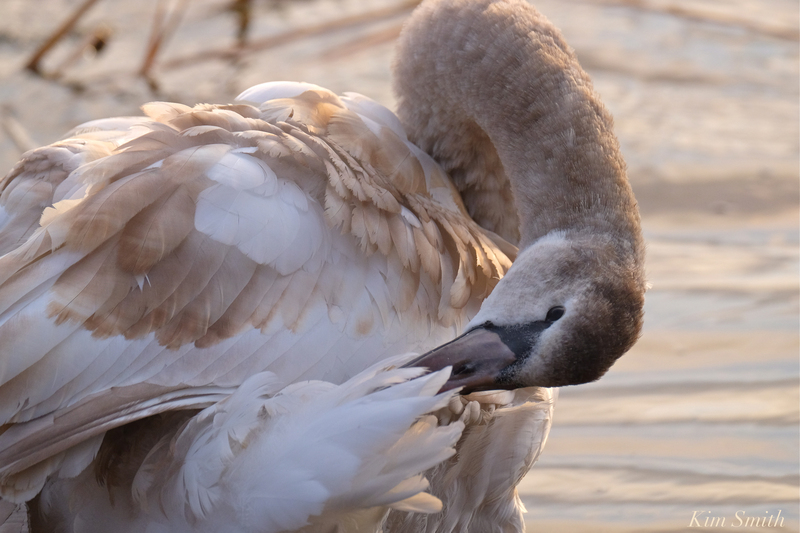 We still do not know whether the Young Swan is male or female. Jodi Swenson kindly paid for the swan’s checkup at Dr. Cahill’s (with funds provided from her recent fundraiser) and Lyn has volunteered to pay for the DNA test. We should have the results back from the DNA test in several weeks. The Young Swan has a temporary name, TOS, an acronym for The Other Swan, but perhaps when we determine whether male or female we can give her a gender specific name, and possibly tie in a naming contest with a mini-fundraiser, to help defray the unexpected cost of taking care of her for the winter. This entry was posted in Birds, Cape Ann Wildlife, Swans (Cygnus olor) and tagged Beautiful Birds of Cape Ann, Cygnus olor, Joel Munroe, JPL Landscape Solutions, landscaper Pat Low, Lyn Fonzo, Niles Pond, Pat Low, Skip Munroe, the young swan, Young Swan on December 20, 2017 by Kim Smith.